If you want to promote your giveaway to get more entrants for your online marketing giveaway, you’re in the right place. We provide an effective online sweepstakes and giveaway promotion services. We help business owners quickly and easily generate more leads through their marketing giveaways. When we work together, We will use the proven strategies and formulas that we’ve accumulated through years of running and promoting online giveaways and sweepstakes… plus deep research into your market and combine it all to create a powerful marketing that will boost your giveaway’s visibility and get more entrants. Get more exposure and traffic from our readers through featured listing! and a lot more. See complete list in our submit giveaway form. Simple yet effective giveaway promotion service that will give you more entries, exposure and social engagement. If you are ready to get more exposure for your giveaway, click the button below and submit your giveaway for featured listing. Achieve the full potential reach of your giveaway by listing it to all the TOP giveaway or sweepstakes listing sites like ours. There are hundreds of giveaways or online sweepstakes listing sites and submitting your giveaway to all of them is very time-consuming… plus some of them aren’t that effective and is a complete waste of time. So here we are to help you submit your giveaway to the Top 50 Giveaway Listing Sites, Giveaway Linky Blogs, Giveaway Facebook Groups, Sweepstakes Pinterest Group Boards, and Google+ Giveaway Community that will surely give you more traffic and exposure! PLUS, this service includes our Platinum Featured Listing upgrade where your giveaway will be promoted on our site and social media for 1-Week – that includes ALL our social media pages plus a solo email broadcast to all our subscribers! NOTE: We do not and will never provide submission reports of any kind, in this particular service, because the top giveaway promotion list that we currently have is an IP that we need to protect for potential future revenue. If you want to squeeze every opportunity out of your giveaway, click the button below and submit your giveaway details. Get more eyes (or exposure) on your online giveaways or sweepstakes through banner ads. Apart from giveaway exposure, this service will also help increase awareness to your brand – a process in which the customer remembers factors like brand’s features, specifications or social status. We have 5 banner advertisement spots that you can choose from to showcase your giveaway banner ad. If you want to promote your giveaways (and brand) to a sizable audience of giveaway entrants, then click the button below to learn more abour our banner advertsiments spots. The Sponsored Article is advertorial service that appears within Giveaway Monkey’s blog post/article page and sidebars giving it the same placement and prominence as any regular article on Giveaway Monkey. A Sponsored Article is an ideal medium to introduce your brand, promote an upcoming deal, or publicize any announcement. Aside from the “Sponsored by…” disclaimer in the header or footer, Sponsored Articles are just like any other article we publish on our site. If you are ready to guest sponsor an article on our site, click the button below and send us a note with a bit about your brand and what you’re looking to achieve. If we are a good fit to help, we’ll get in touch. Do you need special promotion over our social media? We can shout out your brand or publicize any announcement in any or all of our social media pages. Social Media Promotion is the hottest online marketing today so jump in and get more exposure and engagements from our huge number of followers! Get in touch with us to get started. Check out some of the brands we have successfully worked with before. Talk to us and be part of this growing list of brands that finds success in running an online giveaway. 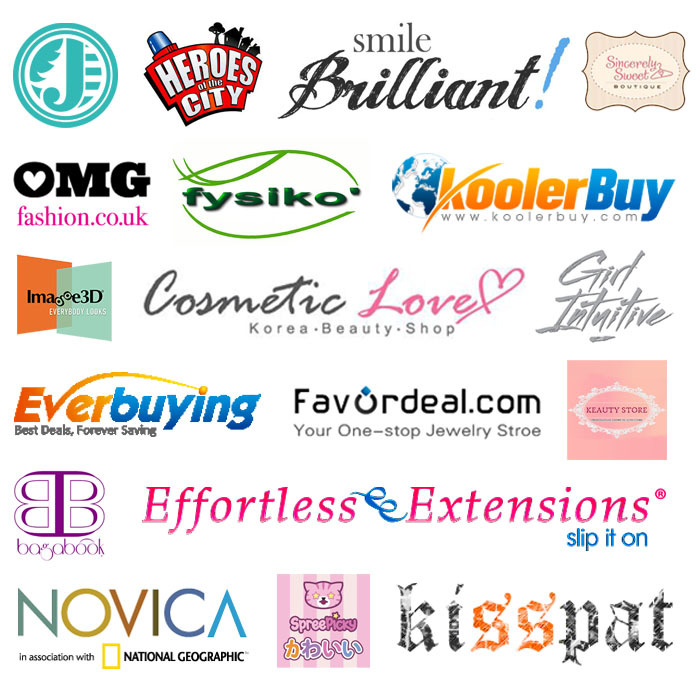 All these brands trusted us, so why don’t you give us a try and let’s get started promoting your giveaways and brands! We know it can sometimes be a little confusing so feel free to contact us for more detailed information or should you have any other ideas, we are always open to new ways of partnership.